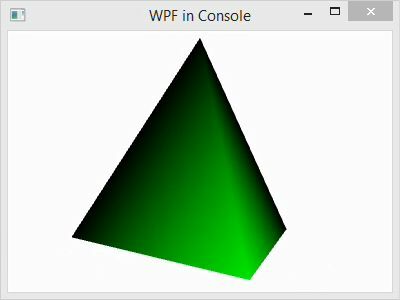 In this post, I explain the basic Windows Presentation Foundation programming elements of a 3D scene in C#. 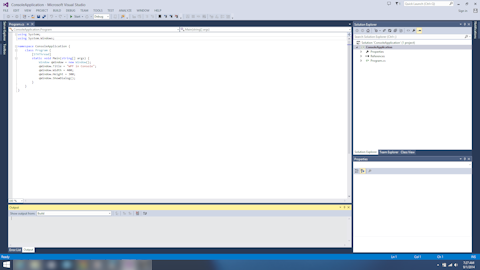 The C# code that I use for demonstration creates a simple tetrahedron model and rotates it around the vertical axis. 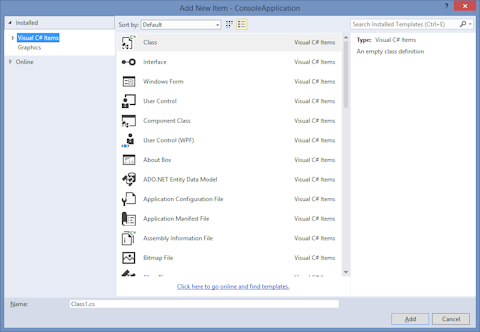 Begin with the project from our prior blog post, or create a new WPF project. Add a class file to the project: left-click PROJECT in the menubar and left-click Add Class… in the submenu. This pops up the Add New Item dialog. 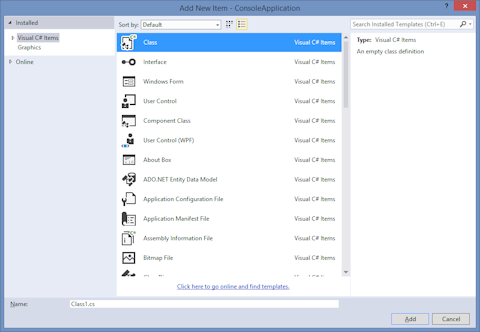 Select Installed->Visual C# Items in the left-hand pane. 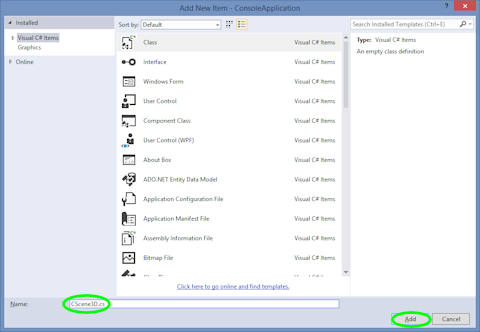 Then left-click Class in the center pane to select it. Finally, rename the class by left-clicking the text box next to Name: at the bottom of the window and entering CScene3d.cs. 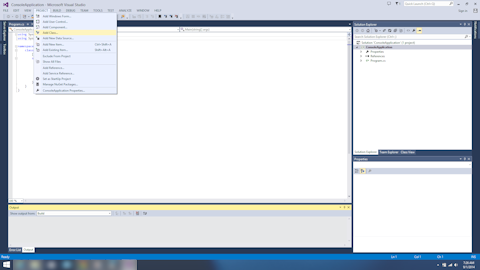 Finish adding the class by left-clicking the Add button. Next, copy the code for “CScene3D.cs” below into the file of the same name in your project. Compile and execute the program by left-clicking DEBUG in the menubar and left-clicking Start Without Debugging in the submenu. 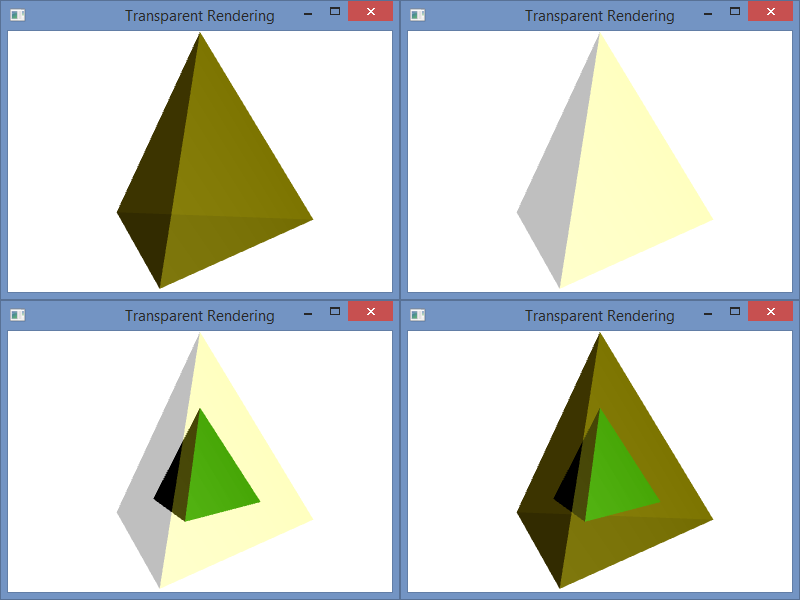 After a few seconds, the code will be compiled and a window will pop up displaying a rotating tetrahedron. Create a camera and add it. Create a lighting model and add it. For simplicity, I have skipped some steps, like adding normals, and accepted default values for much of the rest. At the end, I have collected components to added them appropriately. Pay close attention to that.